For all of your roof and gutter cleaning requirements, call Raldex Plumbing. 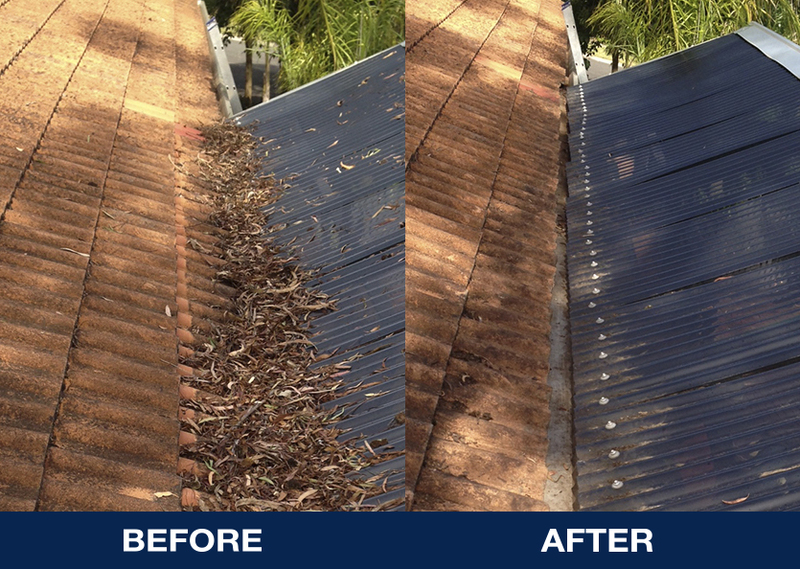 Everything from a regular maintenance cleaning program for commercial customers, to a once off domestic gutter clean. If your roof and gutters, or downpipes are full of debris, it may result in roof leaks or even flooding of your premises. We have all the equipment to be able to help you with all of these problems. Even steep roofs, double storey homes, and commercial factories and shops. We also have a range of drain cleaning equipment if required to clear the drains that your downpipes connect to. So for all your plumbing needs, contact Raldex Plumbing 1300 799 949.